Several operating systems (OS) for wireless sensor networks (WSNs) have been designed, implemented and are in the process of enhancement. However, early before implementation, designers face an important decision to make. The designer of an embedded operating system (EOS) has to conform to one of two completely different design philosophies and build his system according to that philosophy. This decision is crucial in the sense that the behavior and performance of each model differs, and those will be reflected on the WSN since the EOS is the core of the system, and any protocol built on top of it will drag with it the characteristics of the design model. 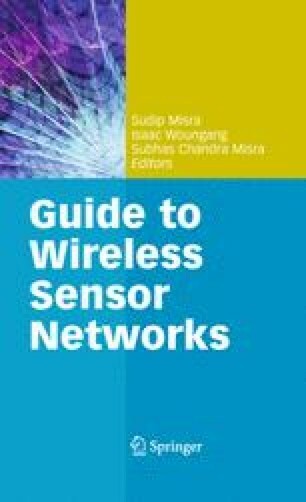 Both models are investigated in this chapter by looking at the design and architectures of several EOSs built for WSNs. Multimodal Networks of In-situ Sensors. http://mantis.cs.colorado.edu .